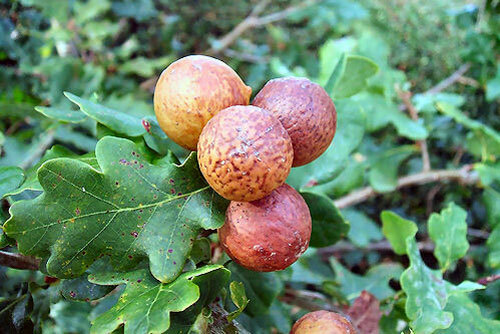 First of all, what is “manjakani?” Manjakani or oak galls are derived from oak trees which are native in certain areas of Persia. The manjakani extract has been used by East Asians and other cultures, women in particular for various purposes. In relation to the first bullet, manjakani or oak galls helps rejuvenate the vaginal muscular cells through cell renewal and self repair. This herb is one of the most potent astringent herbs known. The powerful astringent properties firm and tighten the vaginal wall. It also restores elasticity, improves muscle tone, and reduces leucorrhoea or vaginal discharge. The latter causes the unpleasant vaginal smell. It is also a natural antiseptic which can effectively eliminate various vaginal infections such as bacterial, yeast, and fungal in nature. It’s also an effective anti-aging herb. Who is Manjakani Recommended for? those who suffer from extreme vaginal discharge which is accompanied by itching and an unpleasant odor. Asians have long been using manjakani herb for the purposes mentioned above. Manjakani has been widely used in various regions and by different cultures including Chinese, Indians, Arabs, Persians, and Malays. Manjakani is now commercially available in different forms including creams, gels, and pills. In the Philippines, let me promote an Indonesian product now offered in the local market through a few online shops – the Kzanah Manjakani Sarapat Plus. Gambir – a potent astringent consisting of antioxidants including catechin and catechutannic acid. These are beneficial in minimizing excessive mucosal discharges. Daun Jarak – is an anthelmintic and purgative ingredient. These are aid in promoting good bowel movement. Akar Sarapat - as the name suggests, “sarapat” means "tighten" in the local Malay dialect. It’s also normally applied to heal wounds including childbirth related wounds. It’s also the component responsible in initiating contraction of vaginal muscle. Kunyit or Tumeric – is beneficial for hemorrhage, irregular menstrual flow, and even liver diseases. It’s also prescribed for women after childbirth in order to encourage normal blood circulation. It’s even an antioxidant which helps in maintaining a good health and vibrant skin. The Kzanah Manjakani Sarapat Plus pills are available in a 150 x 250g content (number of pills x grams each). Recommended intake is 2 pills each time on a 3x daily basis. Product is not recommended for pregnant women. In the Philippines, you can purchase the Kzanah Manjakani Sarapat Plus pill through a Sulit.com shop. Just click on the product name to read more information about how you can purchase this manjakani product.